The first of every month brings about a slew of new beauty products, each launch fancier and more exciting than the last. But the thing is, they're not all the miracle potions and fountain-of-youth elixirs they promise to be. Wading through a pool of new products can be intimidating and sometimes disappointing. So I decided to try some of Sephora's buzziest new launches and report back on what's worth it and what, sadly, is not. My original thought was to rank my favorites from best to worst. But the thing is, as I wrote, I realized all my chosen formulas were uniquely incredible in their own right. I started an emoji rating system, which you'll see below, and ended up giving all 10 products a five out of five. So sue me—they rule. You can take my word for it. Below, find the products that are worth spending your hard-earned cash on because, well, you love beauty and so do I. My Thoughts: I have to admit, I didn't like this product when I first tried it. BUT hear me out. I broke open the package from Urban Decay and was so excited to figure out what a "lip mousse" even was. When you put your finger to the formula, it feels weightless, almost like a powder but a bit moister. I dabbed it onto my lips and noticed it came up chalky and uneven. I was disappointed and confused, until Victoria, our wellness editor, expressed her delight over the very same product in our Byrdie Gchat. "Has anyone tried UD's new lip mousses?" she asked. "I'm obsessed. And this is me talking, the girl who hates lip products." I had no idea why we would have had such a different experience. Then it struck me, I had a ton of lip balm on when I applied the product. Like, globs and globs. So I tried again. I removed any sign of balm and reapplied the mousse. Sure enough, it went on like a dream. The formula genuinely feels light as air—like you're wearing nothing at all—and hugs every contour of your lips. It ends up looking kind of like a stain but still pigmented and even. It's perfect. 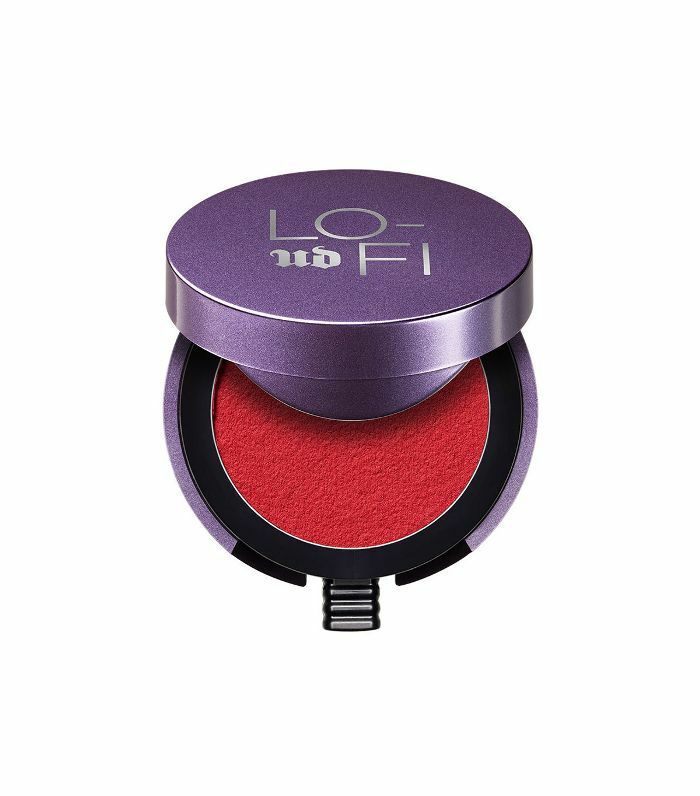 My favorite shade is Frequency, a true red shade that can go on light or full-throttle. My Thoughts: Recently, I left the beach with a nasty, shameful sunburn. I know, beauty editors should know better. But between the breeze, the sunshine, and the fried seafood, I just couldn't drag myself off the sand in time to save my skin. 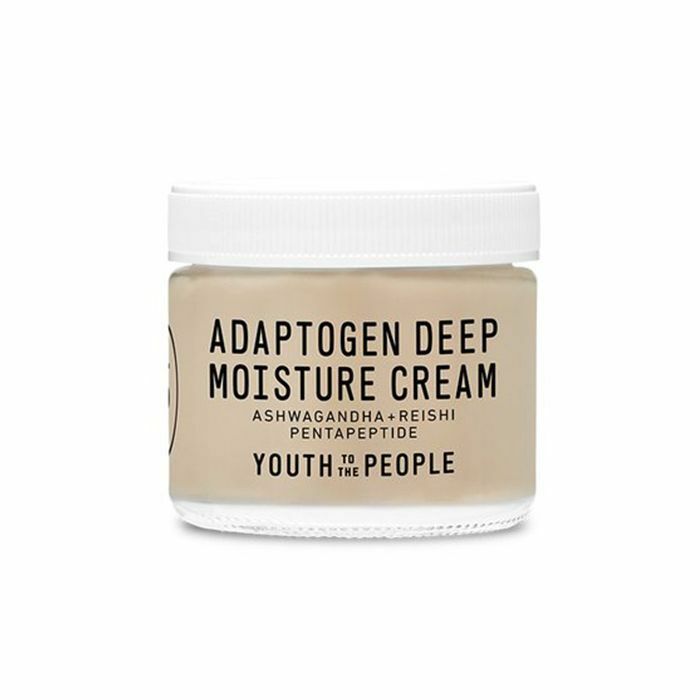 Luckily, I was blessed with Youth to the People's new adaptogen cream, brimming with pentapeptide to "calm the stress reaction in sensitive and irritated skin." Let me tell you, my skin was irritated, sensitive, and about 50 shades of red. It was a summer massacre. After applying a thick layer of this super-creamy, beige-colored formula, my skin immediately felt soothed. I even applied some to my chest and shoulders to double the results. After a few hours, the redness had calmed and my skin felt like skin again. I kid you not. This is the real deal for those with sensitive skin (or those with a gnarly sunburn seeking relief). FYI: It's also vegan, cruelty-free, noncomedogenic, and formulated without dimethicone. My Thoughts: After our editorial director, Faith, raved about this product, I had to give it a shot. Faith and I usually use the same shades in foundation and both have an affinity for an allover glow courtesy of St. Tropez's finishing expert, Sophie. So I figured I could take her recommendation in confidence, as complexion shades tend to work similarly on us. She showed me a picture of her final result—shockingly bronzed, streak-free legs with zero orange undertones. I couldn't believe she had not only applied such an even finish herself but that an at-home self-tanner could offer such flawless results. I took the foam home and applied it directly to my tanning mitt. After giving my body a once-over, carefully making sure not to miss any spots, I let it dry and put my clothes back on. As I lounged on my couch, I noticed a perfectly glowy, natural-looking tan begin to peek out. Sure enough, the results were as flawless as they had been for Faith. I still prefer to get my tan airbrushed on by a professional (I'm not exactly a pro at the application), but this is an amazing second option in a pinch. My Thoughts: This mascara came out in April, so to beauty devotees, it's not exactly brand-new. But I'd still say it's a buzzy Sephora launch, and I happened to just get around to trying it. That and a new travel-size just came out to spark your interest yet again. Listen up: It rules. Like, really, really rules. The product is weighty at first touch, which immediately makes it feel special and expensive. Then, when you twirl open the tube, the brush is utter perfection. It had thick, soft bristles that add immediate volume but without the usual clumping or smudginess. 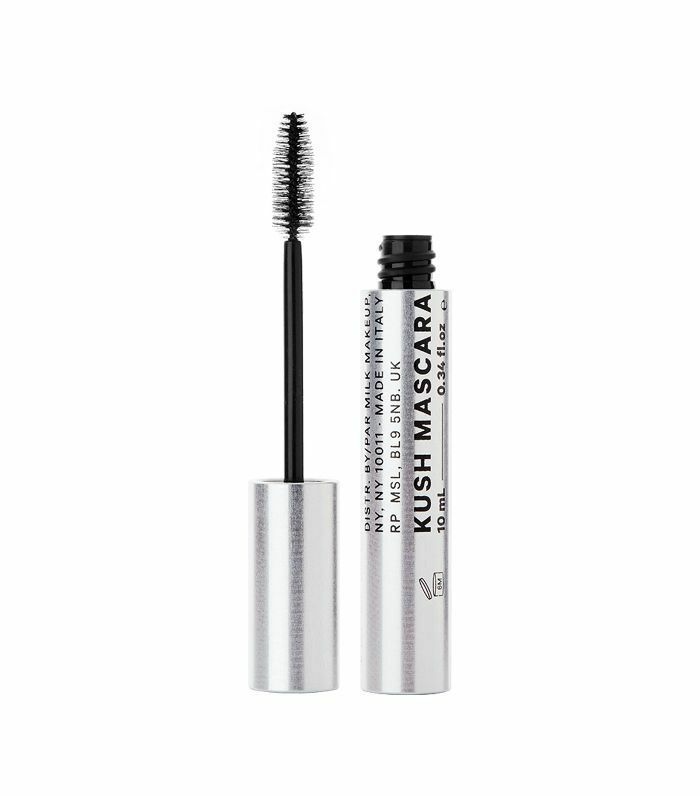 It lengthens like a dream, creating a lash that is both volumized, properly separated, and longer than I ever thought possible. And to make things even more incredible, it doesn't flake—even through the sweaty summer commutes and long humid nights. My Thoughts: Let me start by saying I'm not exactly an eye shadow girl. I mostly leave my lids au naturel and focus on adding bold colors to my lips or cheeks. Thanks to the launch of Surratt's Lid Lacquers, though, that habit has since been thrown out the window. Inspired by a Japanese lacquer technique called urushi, Surratt's cream eye shadow is like the eye gloss you never had, but better. It's not sticky, it doesn't crease, it's not overly sparkly, and it doesn't require a lot of maintenance to keep it looking fresh. Instead, the application is as easy as smudging your finger around your eyelid—yes, really—and the result is a dewy, glossy finish in whatever color you so choose. It always goes on even, and it's seriously foolproof to apply. I gravitate toward this red color, Shu Iro, because I don't think I'd successfully be able to pull off a red lid any other way. My Thoughts: I'm not usually one for primers—mostly because they're an added step in an already long-seeming makeup routine, and because a celebrity makeup artist told me once to forgo them entirely. He mentioned it would keep the makeup closer to my skin, allowing it to sink in rather than just sitting on top. As someone who likes the look of a "fresh" face (created courtesy of a bunch of products, but you get the picture), I liked the sound of that. Since then, I never applied primer, and everything seemed to be going fine. 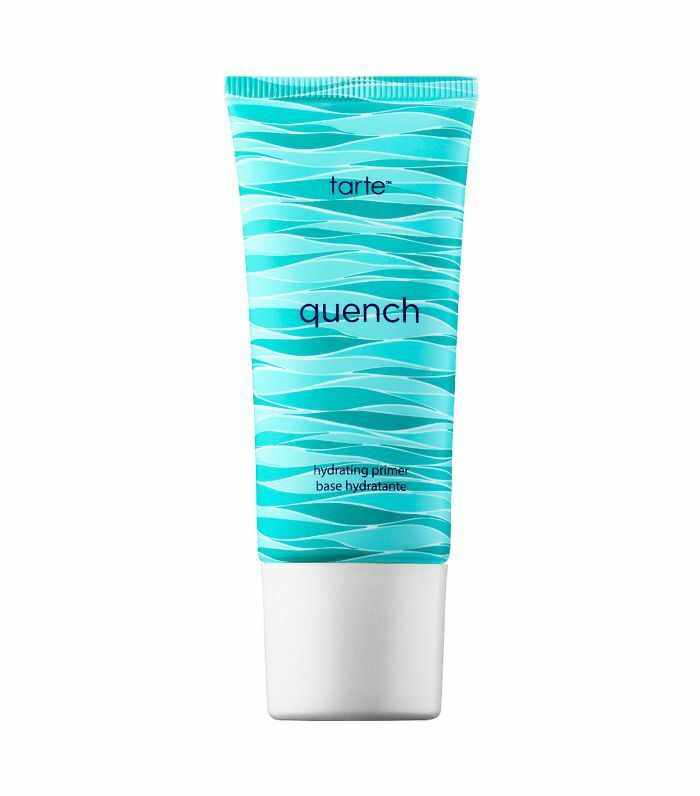 Tarte's newest primer, called Quench, changed all that. Naturally, during a sweaty NYC summer, anything with blue packaging and the word "quench" plastered across it would catch my attention. So I tried it. At first touch, it doesn't feel like a primer at all. It doesn't have the tell-tale "putty" feel that makes it feel more like a mask than hydration. 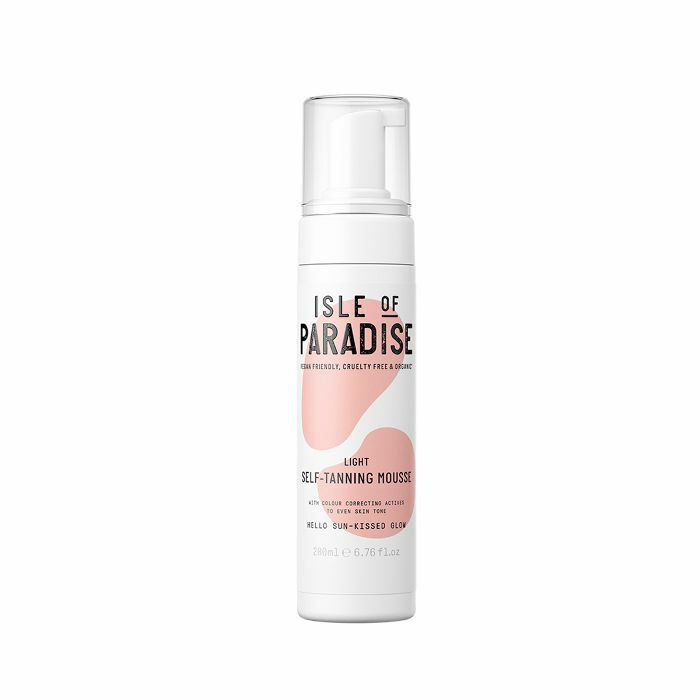 Instead, the gel-like formula sinks right into your skin, delivering antioxidants, probiotics, and a heavenly coconut scent along with it. It allows for a truly clear, smooth canvas to apply makeup over, filling in wrinkles and plumping your skin with every pat. That being said, it is still an extra step. But I believe it's worth it. My Thoughts: I am genuinely obsessed with shimmer body oil—I pretty much bought out Sephora's Fenty Beauty Body Lava stock all in one go. That being said, as a paler, office-bound individual, I'm not always looking for diamond-bright shimmer and tons of bronze pigment. As such, Chrissy Teigen's latest collab with Becca, a super-subtle but insanely beautiful Glow Body Oil, was the perfect in-between. It's luxurious-feeling but lightweight, illuminates your skin like a subtle highlighter, and smells like summer (bergamot and sandalwood, to be exact). But it doesn't sparkle too much or tan too heavily. I apply it in the morning and throughout the day. My Thoughts: In my book, Rihanna's Fenty Beauty can do no wrong. And that's not only because I'm hopelessly devoted to her as a human being, I am, but her makeup has actually proven not only worthy of our accolades but groundbreaking in the industry. Her newest launch, a tropical, warm-hued eye shadow palette, is no different. 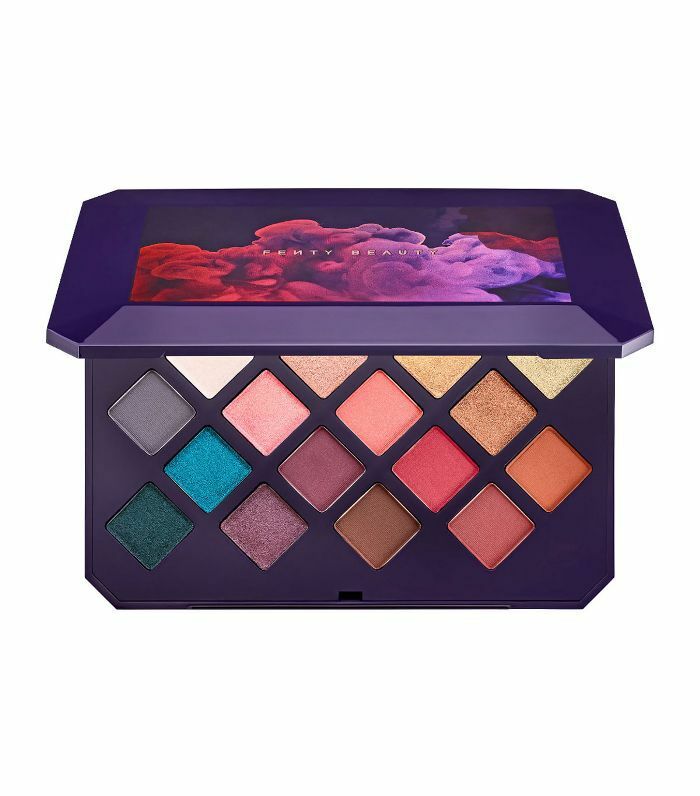 The palette houses 16 super-pigmented shades (in both matte and shimmer finishes because Rihanna knows our moods can change on a dime). They're smoky, sunny, pearlized, metallic, and more. 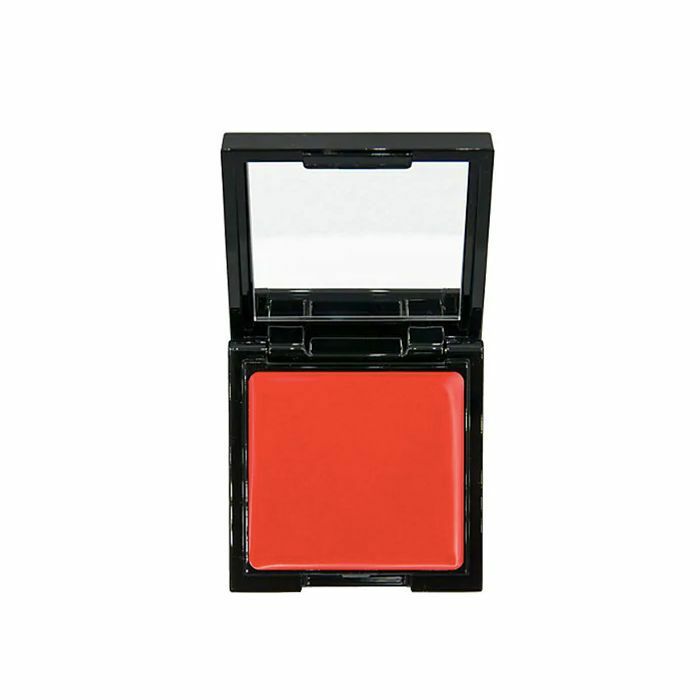 Plus, the texture is rich, velvety, and easy to apply and blend. I'm certainly not a makeup artist (and especially have trouble with eye shadow), but these shades are too good to pass up and too easy to disregard. They're long-wearing too, by the way. My Thoughts: I'm not huge into sheet masks if I'm being honest—they rarely fit my face and I've never noticed a huge difference in my skin after peeling them off. 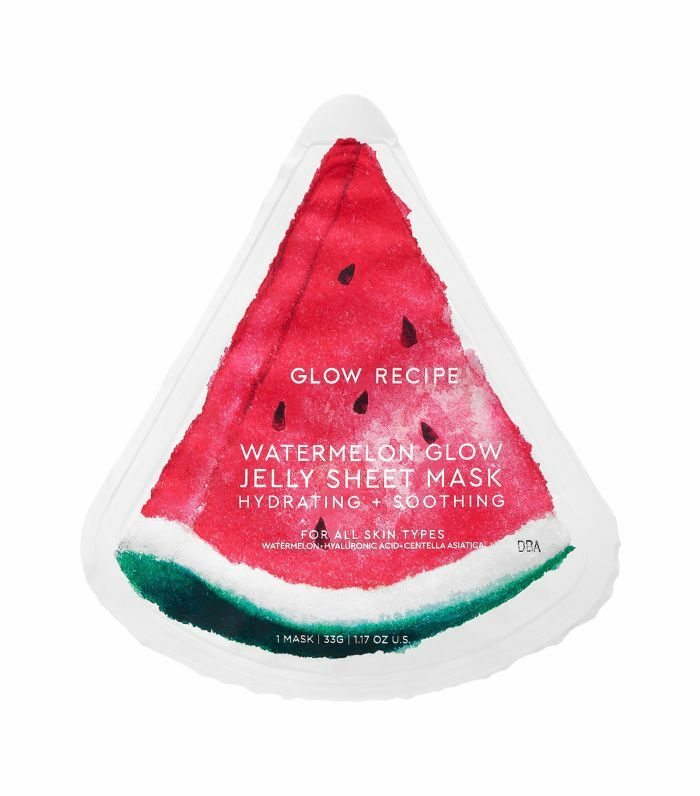 It wasn't until Glow Recipe launched its newest product, a jelly "sheet" mask made from jelly hydrogel rather than an actual sheet, that I changed my tune. The founders revealed that the actual vehicle delivering the ingredients—in this case, the jelly—improves the results. They found that regular sheet masks with the same actives could cause breakouts. First, to make things especially lovely, I slipped the mask into the fridge before applying it. Once it was nice and cold, I peeled open the packaging and pat the mask on to my skin. Instantly, I was impressed by two things: first, the fact that the mask was cut into two pieces, rather than just one large sheet. That way, I could fit it perfectly to the contours of my face rather than struggling to keep it on for 30 minutes. Next, the cooling effect was immediate, resulting in feel-good vibes, plumping, and de-puffing all over. I left it on for the suggested amount of time and then smoothed the leftover serum on my neck, chest, and arms. My Thoughts: There is nothing I love more than an on-the-go product—especially one that results in glowy, soft skin. So when I heard about new brand Go-To and, specifically, its single-use facial pads called Exfoliating Swipeys, I was intrigued. The pads are soaked in an all-natural AHA solution that works to exfoliate and hydrate your skin, as well as limit breakouts, fine lines, and dullness. Each pad houses lactic acid (my fave) and essential oils to keep your skin in tip-top shape. In about 60 seconds, I swiped, refreshed, decongested, and smoothed my skin. My skin's texture felt refined, and my complexion so much less dull (it happens after a night out). And they're so easy. And disposable. FYI: Here are 15 summer beauty products New York girls can't stop talking about.